A new HIPAA Quiz has been launched by the Compliancy Group, which serves as a quick and easy free tool to assess the current state of HIPAA compliance in an organization. Healthcare organizations that have implemented policies and procedures to comply with the Health Insurance Portability and Accountability Act (HIPAA) Rules may think that they are fully compliant with all provisions of the HIPAA Privacy, Security, and Breach Notification Rules. However, HHS’ Office for Civil Rights (OCR) compliance audits and investigations into data breaches and complaints often reveal certain requirements of HIPAA have been missed or misinterpreted. OCR investigates all breaches of more than 500 records and so far in 2018, six financial penalties have been issued to HIPAA covered entities to resolve HIPAA violations. The average settlement/civil monetary penalty in 2018 is $1,491,166. State attorneys general also investigate data breaches and complaints and can also issue fines for noncompliance with HIPAA Rules. There have been five fines issued by state attorneys general in 2018 to resolve HIPAA violations. The average settlement amount is $514,563 in 2018 and was $718,800 in 2017. 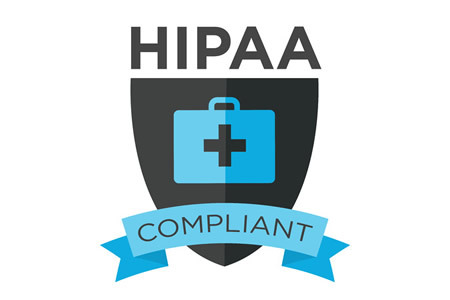 To help healthcare organizations comply with HIPAA Rules and avoid financial penalties, the Compliancy Group, a team of HIPAA compliance experts that help healthcare organizations meet HIPAA requirements, has released a free HIPAA Quiz that allows healthcare organizations to conduct a quick assessment to determine whether they are meeting the basic requirements of HIPAA. The quiz consists of yes/no questions that have been designed to get a baseline reading of HIPAA compliance against the fundamental elements of HIPAA. The HIPAA compliance assessment tool can be accessed on this link.